1. 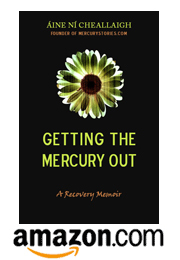 Win a Free Copy of Getting the Mercury Out! To celebrate the launch of Getting the Mercury Out, last week, Goodreads gave away two free copies of the book. Congratulations to winners Meaghan and Darcus who were chosen out of almost a thousand entries. Click here to enter before August 8–good luck! Goodreads is a great way to spread the word about books that you love. If you’ve already read Getting the Mercury Out, add it to your books and give it stars! I love stars! And if you think this is an important book that others should read, let them know why by writing a review. 3. Take the Trivia Quiz!